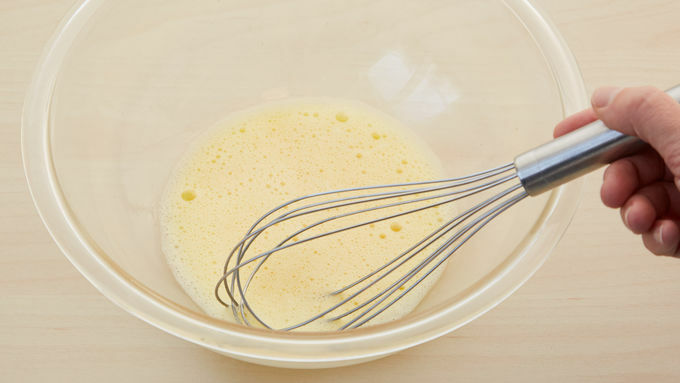 In large bowl, beat eggs with wire whisk until fluffy. Beat in remaining ingredients except berries just until smooth. Pour slightly less than 3/4 cup batter onto center of hot waffle iron. (Check manufacturer’s directions for recommended amount of batter.) Close lid of waffle iron. Bake about 5 minutes or until steaming stops. Carefully remove waffle. Serve immediately. Top with fresh berries. Repeat with remaining batter. 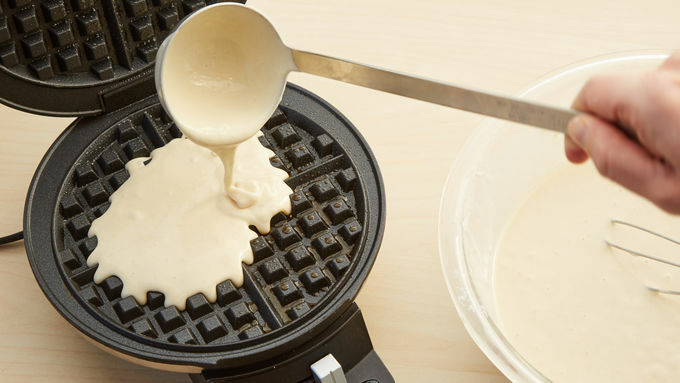 Waffle batters tend to have more butter or oil than pancakes, making them non-stick if your waffle iron is preheated well. If your waffles do stick, brush a little oil on the waffler grids or up the amount of fat in the batter by a tablespoon or two. For lighter waffles, take the time to separate the eggs into yolks and whites. Add the yolks, lightly beaten, to the batter. Then beat the whites until stiff peaks form (a wire whisk will do the trick). Fold them gently into the batter using a rubber spatula. Don’t overmix or the air you beat into the whites will be knocked out. Sometimes the indicator light on waffle irons aren’t reliable, so keep an eye on the steam coming out of the waffler. When the steam stops, check the doneness. Keep finished waffles warm on a rimmed baking pan in a 250°F oven, so everyone can eat at the same time. Freeze any leftover waffles, separated by squares of waxed paper, in plastic freezer bags. Pop them into the toaster for quick breakfasts, no thawing required. Waffle irons uses different amount of batter, so you may end up with more or less than six waffles from this recipe. There’s nothing easier than mixing up a batch of homemade waffles. Starting out your morning with a delicious from-scratch breakfast sets the perfect tone for the rest of the day. Even though it’s really easy, we understand that waffle-making can seem like an intimidating process. If you’d like some guidance before you dive in, check out Betty’s How to Make Waffles Guide, which has everything you need to know. It covers how to make your favorite kind of waffles (crispy or fluffy), the difference between waffles and pancake batter and even what to do with leftover waffles. 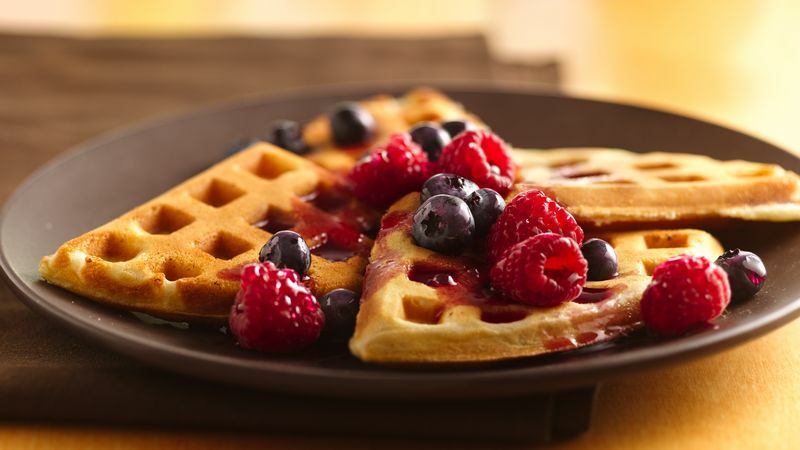 It also suggests different kinds of waffles you might like to try, including Buttermilk Waffles, Bacon Buttermilk Waffles, Whole Wheat Waffles with Honey Peanut Butter Syrup, Cornmeal Waffles, Spicy Cornmeal Waffles, Granola with Double Berry Sauce and Cinnamon-Bun Waffles with Cream Cheese Glaze. You can find even more inspiration in this waffle recipe collection.